Barber & Osgerby collaborate with Vitra to design the "Pacific Chair" - Archpaper.com Barber & Osgerby collaborate with Vitra to design the "Pacific Chair"
Architecture and design studio Barber & Osgerby recently spent over four years working with Vitra to design the Pacific Chair, an office chair “for the next generation,” or as Jay Osgerby put it, “a chair that won’t cause a panic attack.” It debuted at this year’s Neocon to much fanfare. While it’s yet to be confirmed, rumor has it that Foster + Partners already ordered the Pacific Chair for its San Francisco office. Osgerby discussed the involved process with managing editor Olivia Martin. A set of pastel Pacific Chairs in the Eames House. (Courtesy Terrance Williams). The Architect’s Newspaper: Tell me a little bit about the design evolution for the Pacific Chair. Jay Osgerby: It started four years ago. The idea was to design a “checklist chair”—something that would check all the boxes big corporations require of a chair. We had never done a chair like that before and were incredibly naive. We said, “awesome, great, that shouldn’t be too complicated”… then we started and realized it was fantastically complicated. We quickly realized why all these office chairs look like machines, and in some cases like a dentist chair. We wanted to create something calm and appealing to architects; maybe something that you would want to have at home. We wanted something relaxing, something that wouldn’t give you a panic attack but would still perform. To find the answers to those requirements was really hard. One of the ways we started to approach the project was from a mechanical point of view. We placed the main mechanism and controls in the bottom of the seat. This mechanism responds to the user’s weight, so whether you are heavy or light, you’ll have the same experience sitting in the chair, which eliminates the need for a lot of levers. The other big breakthrough was to get rid of the arm structure so that it also emerges from the seat. Normally the arms come in from the side of you and this creates extra bulk. With each step and each iteration, we wanted to clean it up, to make it more discreet and more simple. So that’s how the design evolved really from briefing to being a reductive piece, something that’s essential. With open offices, it’s no longer about creating this territorial chair for one person, but a chair that can adapt to any user. 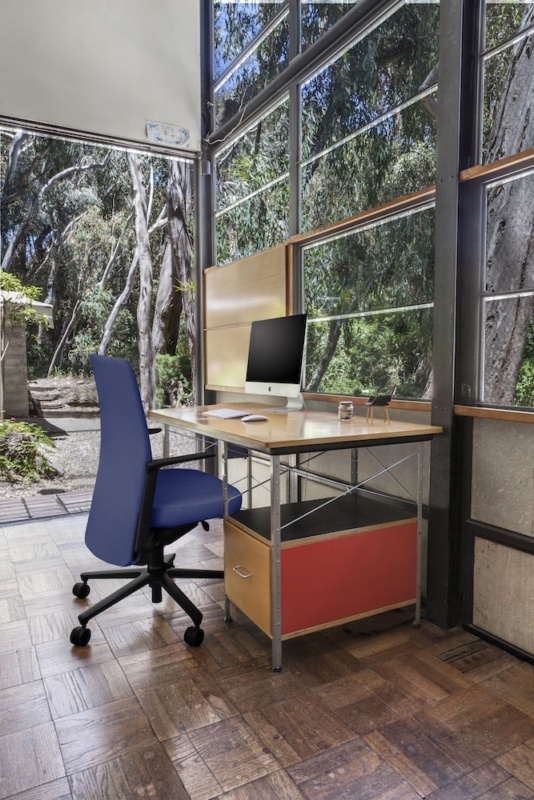 The chair is designed to adjust to any user, feeding into the hot desking trend. (Courtesy Terrance Williams). The office space is constantly evolving. 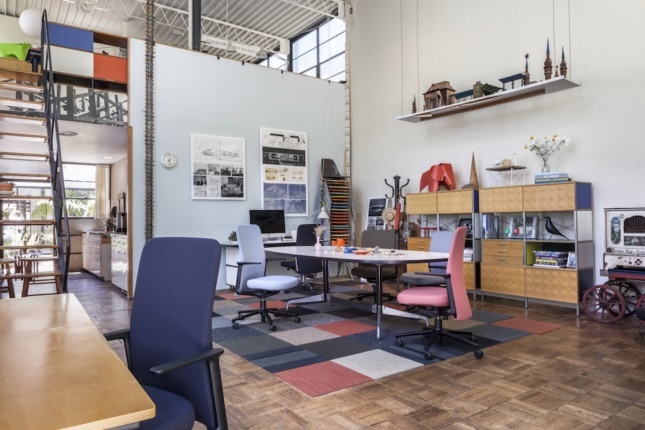 Now it’s all about open plan, sit-stand desks, alternative workspaces, etc. Did you think about these changes when designing the chair? 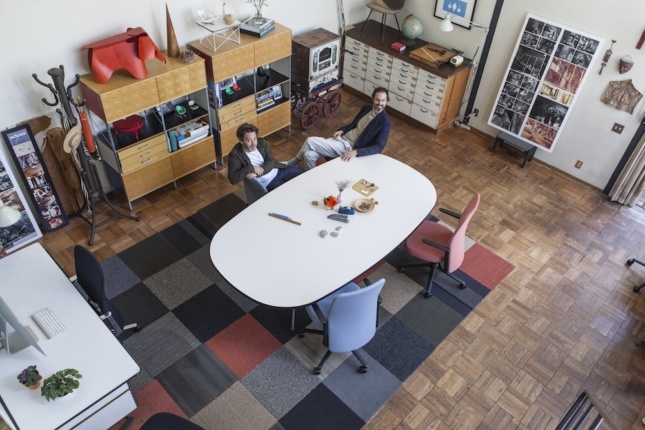 The traditional office is going the way of the dining room. Coworking spaces are killing the office. It’s not bad, but I think there are issues with it. We’d seen these shifting workplace trends in our architecture practice: The freedom that technology has brought us creates a need to make furniture that works in all sorts of different environments. I spend a lot of time in the Ace Hotel in Shoreditch and the lobby is packed full with people working and spending a fortune on really expensive coffee in order to have colleagues for a day. The freelance economy is really what we were thinking of because the stereotypical office chair looks so alien in those environments. We wanted to create a chair that can sit in any of these places as well as Bank of America. 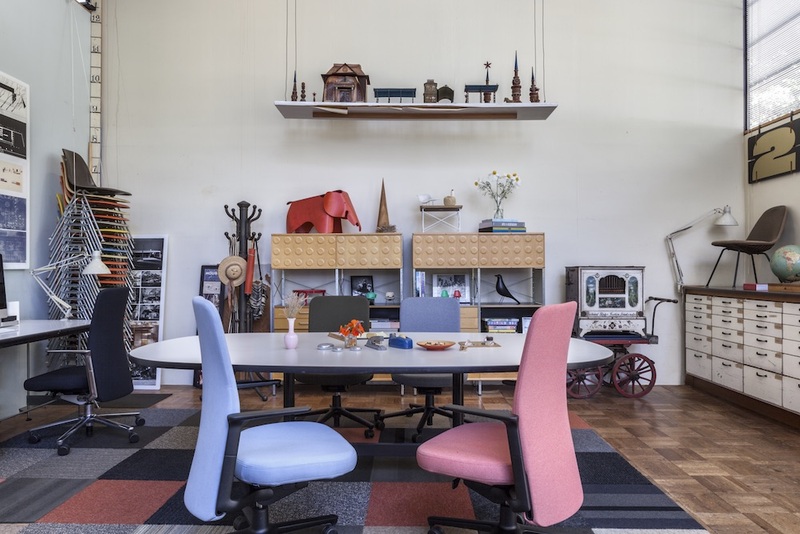 What’s amazing about that is that the Pacific Chair has been so widely accepted—it’s in Norman Foster’s office in San Francisco, for example. How does your background in architecture inform making these types of products? Well, we are not qualified architects but we both studied architecture and that enabled us to appreciate how objects are in space. Specifically, an interior site gave us the context and the aesthetic judgment to make something calm. Architects all know how hard it is to spec something that doesn’t murder your project. You spend four to five years on a project, then you put in the office chairs and it creates chaos because the chairs are rarely seen in isolation, they are seen en masse, which destroys the architecture. Our architectural sensibility told us to create something that enhances the space.